Happy Friday! I haven't done one of my Friday Finds posts in a while, so I'm excited to share a couple fun sales going on! I'm including lots of Spring-like finds, because I'm SO READY! 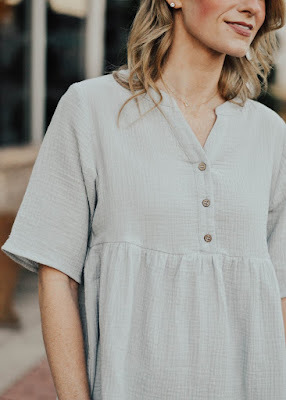 Anthropologie: 25% extra off sale! LOFT: 40% off tops, sweaters and dresses * the first two rompers below are SO cute! Major crush. 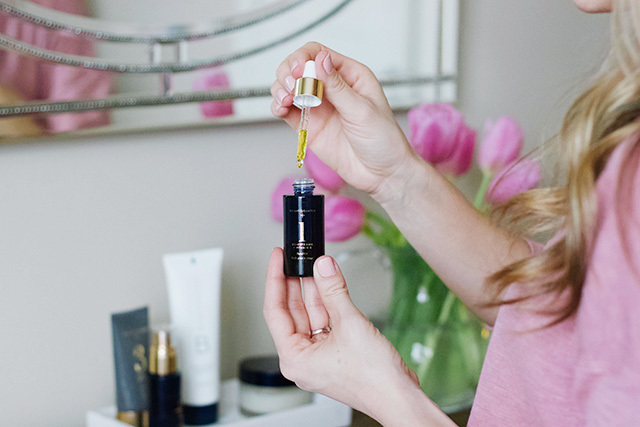 Beautycounter: get a FREE Brightening Face Oil when you spend $125. I also wanted to show you this adorable top I love from one of my friend's boutiques! It would be so sweet for Spring. They have an awesome sale section here. - The best clean beauty products of 2019 -- I found some new ones I want to try and some of my faves are on the list! - My friend Jenni wrote a really great blog post on the value of professional photography, but it can really be applied to ANY creative business that is seen as a "luxury service". I thought it was so well written! - My friend Carmel wrote this awesome post on navigating smart phone use for kids and teens. I found it so helpful (for future kids) and was nodding in agreement with her the whole way through! - This message from our pastor last week at church on John 6 was SO good. I shared it on instagram this week, but wanted to share it here as well. - I got these Blue Light Blocking Glasses on Amazon a couple weeks ago and I feel like my eyes aren't as tired and haven't gotten any headaches since using them while I'm on my computer! Win! - While in California a couple weeks ago, I grabbed these new PJ's and I've been LIVING in them...like my husband would probably like me to put something else on now ;) The color is so beautiful and they're softer than soft. Hope you have a wonderful weekend! See you back here next week when I'm planning to share some Spring Essentials + a fun announcement!